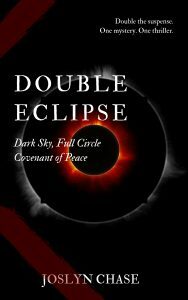 Get ready for the August 8th release of Double Eclipse! 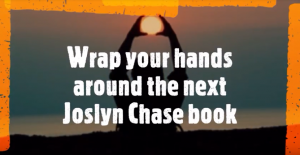 I’m pleased to announce there’s a book trailer, and it’s pretty sweet! Be sure to check it out. Last September, I had the great privilege of attending a week-long mystery workshop with the lovely, prolific, and award-winning author and editor, Kristine Kathryn Rusch. This was shortly after the big solar eclipse, and Kris asked us to write a story, before we came, that centered around the eclipse. 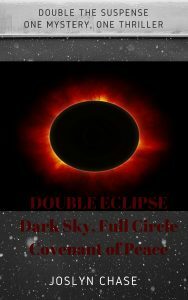 My brother managed a hotel in Jackson Hole, and I decided to set the story there, a prime spot for viewing the eclipse. The story I ended up with was Dark Sky, Full Circle, a murder mystery where the roots of the crime go back a long way. I created a minor character for the story, Tabitha Wilkins, that I rather liked. A sort of quasi-hippie evangelist who stoked the flame of guilt in the hearts of one or two of my other characters. She played a small part in the beginning, and put in a quick appearance at the end. Short and sweet. So, when Kris gave an assignment, at the end of the week, for another mystery story using a minor character from a story we’d written earlier, I chose Tabitha. What I wrote this time was a thriller. This was because I didn’t know that “thriller short stories are rare and probably represent the top of the form. Only the most skilled can hit it.” I’m quoting Dean Wesley Smith, who taught us about thrillers that evening. After we’d turned in our stories. 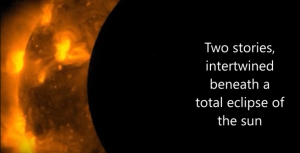 I felt my face go hot. Who did I think I was, handing in a thriller short story to be read and critiqued by one of the country’s top editors? I squirmed over it until the next day when Kris pronounced it an excellent story! Perhaps my favorite part of the exercise was seeing how the two stories intertwine. 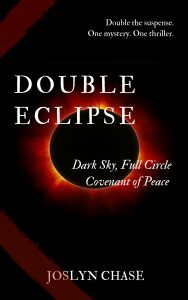 I had a lot of fun with that part, and I hope you’ll pick up a copy and get a great deal of enjoyment out of reading Double Eclipse. Will you help make my book the best it can be? I only have a few days left before I have to make my final choice on the cover. I’ve narrowed it down to three options, and I’d love to get your opinion. I like option 1 best. The balance is best in that one. Option 2 is too choppy and adds nothing for the additional sections. Option 3 feels a bit lopsided. Thank you, Cathy! I appreciate the vote and the input!